I haven't reviewed any Kaweco inks yet, so today let's take a look at Kaweco Ruby Red. I purchased my sample of ink from Vanness Pens. Ruby Red is not quite red but not quite pink, it's right in-between. 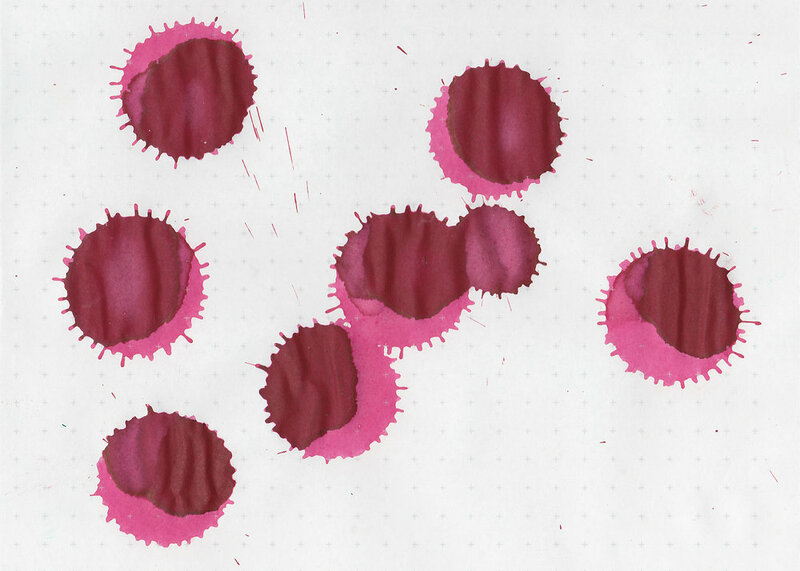 In large swabs the ink looks more pink than red. On Staples 24 lb copy paper there was some feathering and bleeding. Ink swabs for comparison, left to right (top to bottom for mobile RSS): Robert Oster Clay Red, Kaweco Ruby Red, and Noodler's Ottoman Rose. 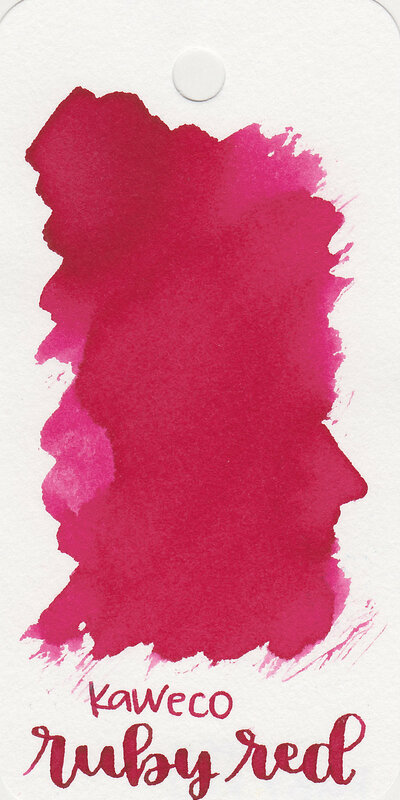 Ruby Red is not as red as Clay Red, but isn't as pink as Ottoman Rose. Sailor Jentle Oku-yama, Caran D'ache Divine Pink, and Monteverde Garnet. Click here to see the red inks together. I used a Waterman 52 1/2 on Tomoe River paper. The ink had an average flow. Overall, I really like this ink. It is well behaved, and is right on the line between red and pink.